The Most Allergy-Friendly Restaurant Chains in America! Some may question the relevance of posting a list of the most allergy-friendly restaurant chains. After all, just because a chain is considered allergy-friendly doesn’t mean each individual restaurant in the chain is equally accommodating, especially with some chains having franchised units as well as corporate ones… right? While the point has some validity – and certainly there are outliers in every case – there is actually an incredibly high correlation in allergy-friendliness ratings among restaurants belonging to the same chain. In other words, if a chain has a high allergy-friendliness rating, generally the bulk of its individual restaurants does as well. And vice versa. (Of course, the chain ratings are actually derived from the individual restaurant ratings, so this makes sense.) There aren’t many chains with an equal distribution of ratings from 1 to 5. Why? My strong belief is that the commitment to allergy-friendliness – or lack thereof – comes from the top. If the owners, CEOs, and managers of restaurants and chains make allergy-friendliness a priority, the culture in each restaurant will likely reflect that. And again, vice versa. This is true not just with allergy-friendliness and not just with restaurants, but with companies of all sizes and in all industries. Get to the point, you say? So be it. Restaurant chains were grouped into three categories – Large (over 200 units), Medium (50-200 units), and Small (under 50 units). The following lists the most allergy-friendly chains through January 2013, as a result of diner feedback on the AllergyEats website and free smartphone app. Ratings are on a scale of 1 (least allergy-friendly) to 5 (most allergy-friendly). Of course, we couldn’t present this information if it wasn’t for the dedicated users and raters on our AllergyEats website and free smartphone app sharing their experiences. So thank you all! People are always asking which chains are the most accommodating for diners with food allergies. Now that question can be answered with confidence. Great things are happening right now at AllergyEats, and you have made it all possible thanks to your participation. Each time you rate a new dining experience, AllergyEats becomes a more powerful tool for the entire food allergy and intolerance community. 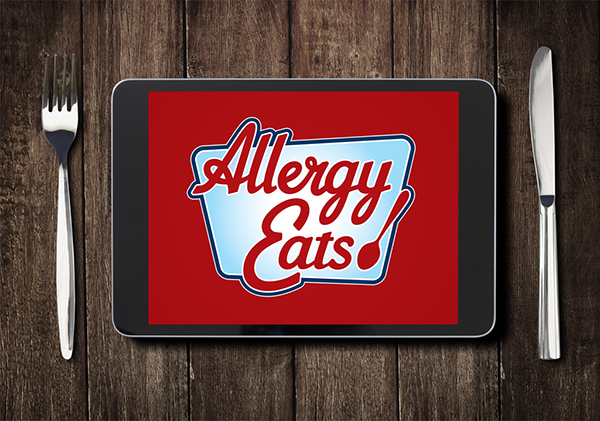 So if you’ve dined out recently, please take a moment to go to www.allergyeats.com or our free smartphone app and add your ratings. Each one takes just a minute, but means so much. 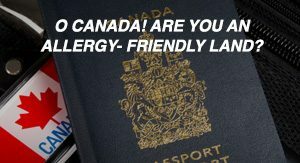 Who were the least allergy friendly? We have been to most of the restaurants listed. I have never been in most of these places and now will have to check them out! Bertucci’s does have a top-down commitment to food allergy safety that I’ve seen first hand. I’m surprised Ruby Tuesday didn’t make a list because they also have a careful set of protocols and allergy menus. 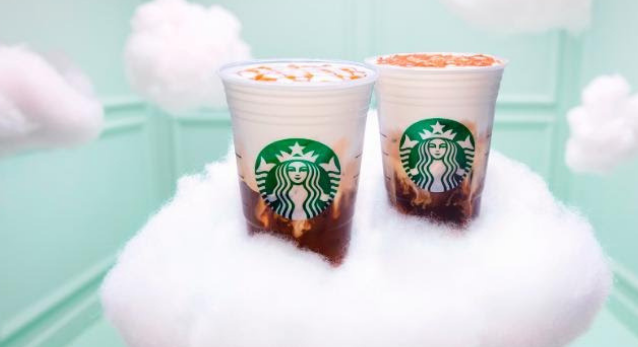 I am so surprised by some of these and will have to check them out! Thanks! Check out Swiss Chalet in Canada. It must be among the best for allergy information on its website and in its restaurants! Workers there were knowledgeable, aware and even double-checked with chefs! Food is good, too. We just took our son to TGI Fridays and they have an entire menu that lists allergens! Just ask your server. I have found that Chilis is one of the worst for allergies. I’ve had very positive experiences at Chili’s nationwide as well. I’m surprised that Chilli’s is not on the “Most Allergy-Friendly” list. I’m a sensitive Celiac and have never had a problem with their gluten-free menu selections. Not sure if this is all sites but wanted to comment that we went to a Longhorn Steakhouse here in Southern Maine recently and right off the waiting area is the bar and people were eating and shelling peanuts all over the place in the bar area and waiting area. My son freaked out as we never experienced that there before. Wow! I am actually quite shocked. With the amount of peanuts and soy that are used in Asian cuisine, I would have assumed P.F. Chang’s China Bistro to be COMPLETELY off limits. 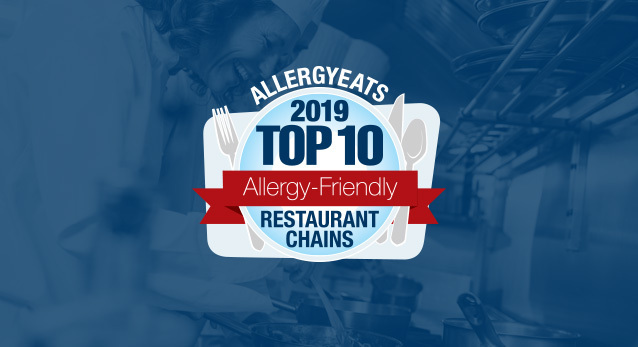 Of course, I will have to do more research and find out what precautions are taken to avoid cross-contamination, but its nice to see that they are among the leading restaurants in food allergy awareness. I am also surprised that Cheesecake Factory didn’t make it to the top of the list. Since they use mainly canola oil for everything they cook, plus the fact that they cook everything from scratch has made them my favorite go-to restaurant with my severe nut and soy allergies. I eat many items there with no reaction, as long as I notify my server of all my allergens and derivatives before the order is placed. Thank you for updating us! Looking forward to seeing more restaurants added to this list! Red Robin is listed on two of the lists above. That’s quite shocking. There is so much MSG in their seasoning salt (that they put on everything) that I have MSG reactions just from breathing the air! Since the seasoning has hydrolyzed soy protein and is so widely used in their menu, no one who is allergic to soy could safely eat there. It may be safe for some allergies, but not MSG and soy allergies! Just for the record, I have a dairy allergy and Chipotle stores their cheese next to the guacamole. Twice I’ve had a server – after alerting them to my allergy – try to serve me guac that had cheese spilled into it. When I pointed it out and reminded them I have an allergy to dairy, they simply swirled it in deeper – as if hiding it from view made it safe to eat! When I told corporate about it – I have to say the response was pretty lame. Ultimately, after much back and forth they simply said if I want guac just ask the staff to open a new batch for me. Seems crazy. But people need to know that – in my experience – there’s a training issue still. I generally love Chipotle but I did notice the last time I went that they did not change gloves between orders which could cause cross-contamination. So now I tell them to please change their gloves. I am surprised about PF Chang’s. We went to Pei Wei Asian Diner in Paramus, NJ which is owed by PF Chang’s. We told them my son has peanut allergies and to make sure they made everything without peanuts. When we got the take out home it was COVERED in peanuts. We called to complain and got a very lame response. Thank God I opened the containers before my son got to them. I really wish this had been titled allergy aware instead of allergy friendly because Longhorn Steakhouse is definitely not allergy friendly to a person with a peanut allergy the same way Red Robin is not for someone with an MSG allergy. I think that all of these restaurants made the list because they train their staff and take extra precautions in the kitchen to prevent cross-contamination; they provide allergy listed menus etc. but to blanket label a restaurant as “allergy friendly” is a little dangerous/risky. Just a heads up for anyone with a Soy allergy- KFC uses soybean oil to fry everything in. Also, some of these places listed as allergy friendly,aren’t for Latex Allergies. Some of them I have encountered using latex gloves to handle food, as well as latex balloons in the establishment for decorations or to hand out to patrons. I want to try to respond to some of these great comments. Mrsdocrse, I had someone of the AllergyEats Facebook page ask me the same question (will AllergyEats share the LEAST allergy-friendly chains). Here was my answer: “Oh Kim, what a way to put me on the spot! I’ve been debating that, but have decided not to because I really want to help incent restaurants to improve and I think calling them out in a big way like that may push them away. Of course, I take seriously the obligation to inform you all as well, so I do occassionally write-up negative restaurant experiences as I did with Applebee’s years ago and recently did with a few restaurants that refuse to make substitutions. In addition, the information is still all out there on the AllergyEats site. But at the end of the day, I’d much rather help convert an Applebee’s, for example, to allergy-friendliness than tar them and push them away.” I hope you respect this opinion. Rachel, many restaurant chains now have allergen lists online and in binders within the restaurants. I do have to caution you however not to rely solely on these books. Some may be out of date. The kitchen may have made a “minor substitution” that day. But most importantly, the books don’t tell you if the restaurant understands cross-contamination. In fact, some doctor/advocates I know very much DISLIKE these lists because they feel they provide a false sense of security. I agree to the extent diners don’t follow “proper protocol” and ask ALL the usual questions. To back up my claim, I will say that some of the LEAST allergy-friendly chains have allergen lists online and in their units! In one more egregious case, the chain doesn’t even notify the individual restaurants when the lists are updated! The restaurants need to think to check the website and print off the lists themselves. So what happens when the list in the restaurant in our of date? Bottom Line: Don’t let lists fool you. Restaurants are no more allergy-friendly or gluten-free-friendly due to the existence of allergen lists or gluten-free menus. Cindy, I believe Longhorn was ceasing the practice of having peanuts everywhere. I could be wrong or it could be a restaurant-level decision, but I think that’s definitely the exception rather than the rule. I’ll look for someone to correct me if I’m wrong. Bethany, you’re the second person that’s made this comment about Red Robin (the first was on Facebook and then Cristin followed up as the third). 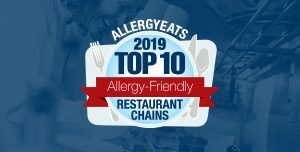 I can’t say that every restaurant on this list would be appropriate for individuals with any allergy, but again these lists were developed based on the cumulative feedback from tens of thousands of AllergyEats raters. Overall, Red Robin seems extraordinarily capable of serving individuals with most food allergies, but your point is not only well-taken, but also a good reminder that some restaurants and some allergens (think Five Guys and peanut allergies) don’t go together even if the restaurant is well-trained at accommodating other allergies. Thanks for your comment. And lastly, to the many of you who unfortunately had negative experiences at some of the restaurants on the list, here again is how I addressed two individuals’ disappointment with one of the restaurants via Facebook: “Unfortunately, even the best not only make mistakes, but may have outlier units – one of the key reasons individual restaurants are rated on AllergyEats. No chain has a perfect rating and even Disney World (“the gold standard”) periodically has an incident. That’s the hard part for all of us – no matter how good the restaurant, we always have to keep our guard up and even then there’s always a chance. With AllergyEats, we’re trying to help everyone minimize this risk by making the world aware of those restaurants that “get it” and those that don’t. So if you haven’t before, please rate your experiences on either the AllergyEats website or smartphone app. It’s important that all voices are heard for every restaurant.” Realize that NONE of these top restaurants got a 5.0 rating, i.e. none are perfect. I would expect that there would be negative experiences at some of these; however, I have a feeling I’d hear a lot more if a restaurant like Applebee’s was on the list. Overall, again based on your feedback, the restaurants on this list had an overwhelming bias toward positive diner experiences. But again, ALWAYS keep your guard up. I have to agree…Chili’s has been a wonderful place for us to visit in Arizona and California. Someone mentioned that some chains only train their staff but don’t offer safe enough choices. I agree to some extent. However, a well trained employee will double check for updated allergy friendly options and make the kitchen staff aware of the situation. Cheesecake Factory – nuts all over the menu. PF Changs – Asian food, really? Many food allergy deaths are from asian restaurant cuisine. Paul, are you concerned about liability? I understand the surprise over P.F. Chang’s, but they have always had a stellar reputation in the food allergy community, and this confirms that. Again, remember that this is based on the wisdom of the crowds, not any one individual trying to be an expert. Legal Sea Foods made the list too and I can tell you that they accommodate fish and shellfish allergies tremendously, so while I understand that many people with peanut or soy allergies might want to avoid all Asian restaurants, P.F. Chang’s seems capable of accommodating as well. I don’t worry about liability. I worry every day about fatalities and other serious reactions. I think the work of AllergyEats is one small step toward reducing this number. That said, I always caution everyone to use proper protocol EVERY time they dine out, and if people are not comfortable in a restaurant like P.F. Chang’s, they simply shouldn’t go there. I don’t in any way mean to be argumentative, but I’ve also never heard the statement that many food allergy deaths are from Asian restaurants. As I think about it, most stories I’ve heard are either shellfish, teenagers of any allergies, and that’s about it. I’d love to know where to find this so I can verify it. It’s important knowledge to have if you’re right. Please keep rating restaurants. This list will be updated every year. With more ratings, the ensuing lists – whether they show similar results or not – will become even more trustworthy every time. Just a matter of statistics. OMG…Yes, many deaths from Asian restaurants? Do you follow the news on this?! You should really educate yourself on that before promoting ANY Asian restaurant! By liability, I meant you are implying restaurants are “safe” when in fact they may not be. I don’t think safety is a matter of statistics…allergies are so individual. Eating out is always a big risk. All that in 5 minutes of simple google searching. The establishments most commonly associated with food allergy incidents include restaurants and establishments serving or catering Asian foods, ice cream shops, and bakeries. .
A girl dies after eating Chinese food at a North Carolina shopping mall in 2005. A Massachusetts boy dies after one bite of a cookie at a friend’s house in 2006. A girl dies after consuming a burrito at a shopping center near her home in Esquimalt, Canada, in 2007. What do these tragedies have in common? Each fatality was a teenager with a severe food allergy. And none of the victims was carrying self-injectable epinephrine, the drug that might have saved their lives. The combination of adolescence and anaphylaxis is a dangerous mix that can turn deadly, according to Scott H. Sicherer, MD, associate professor of pediatrics at Mount Sinai Medical Center in New York. The reason? The risk-taking behaviors commonly associated with adolescence. Among reactions in food establishments, most occurred in Asian food restaurants, ice cream parlors and bakeries/doughnut shops. Just spend a few minutes on google. AllergyMom, with all due respect, I don’t feel the need to defend my education of this subject. I also don’t feel the need to defend the information I have and will continue to provide. And lastly, the suggestion that I don’t care about the safety of this community is simply absurd and does not merit a response. (And as an aside, I never use the phrase “allergy safe” – no restaurant, or almost anyplace, is “allergy safe” – I only say “allergy-friendly.”) I’m sorry you feel that our community’s collective reference to P.F. Chang’s as allergy-friendly is a mark of my ignorance on the subject of dining out with food allergies. That’s disappointing given how much we seem to help so many. Now I’m not going to allow this to get personal (though I’ve allowed you to post how many links and personal jabs in there? ), but I don’t believe the information you’re providing makes your point. Yes, some individuals die from chinese restaurants, but as you show, some die from chinese food outside restaurants, some die from other restaurants, some die at school, some die at parties, some die at home, etc. Official stats say 100 people die each year of anaphylaxis. I think the number is at least 2-1/2x that as many of these tragedies do not have anaphylaxis listed as the cause of death, but one of the results of anaphylaxis. Further, the “100” number is outdated. So even if we assume 250, you’ve basically demonstrated that these deaths can happen anywhere and you’ve shared maybe 5 or 6 stories of individuals dying in the US due to Chinese restaurants. So should we avoid ALL restaurants? Some do, and I totally respect their decision – it is not for me to tell others what to do. But should we ALL avoid restaurants, as well as parties, schools, home-cooked meals, etc.? Of course not. Some parties? Yes. Some meals? Yes. And yes, even some “allergy-unfriendly” schools. But at the end of the day, we simply can’t avoid food and that is why we always have to be vigilant, careful, and prepared with Epi’s, etc. Look, as a whole, I WOULD ABSOLUTELY caution many people from eating at an Asian restaurant (those with peanut, tree nut, and soy allergies in particular). HOWEVER, I don’t think it is correct to thus assume that all Asian restaurants are the same. P.F. 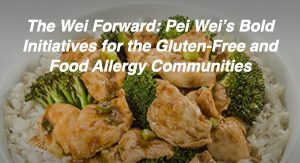 Chang’s obviously goes to great lengths to assure their food-allergic guests an accommodiating meal… and it shows via the comments from our entire community of food-allergic individuals! As I mentioned earlier, Legal Seafoods also does an outstanding job for those with fish and shellfish allergies, yet I GENERALLY wouldn’t recommend those with a shellfish allergy visit a seafood restaurant! Etc. The point is that it IS possible for a committed restaurant to buck the general assumptions and thus we should look to judge each individual restaurant on its own merit. Lacking such information, I believe generalities are appropriate. That all said, I totally respect your opinions and your belief that many should avoid P.F. Chang’s and all Chinese restaurants, though I paritally disagree with it. I’m happy to continue the conversation if we can keep it civil and factual. But to Google every individual death due to Chinese food doesn’t make your point, in my opinion. Google “food allergies” and “schools” and see what comes up. Or even “food allergies” and “seafood”. You understand what I’m saying. 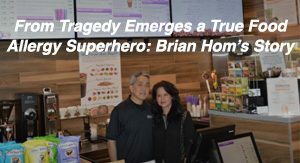 And I gave you information from leading pediatric food allergy doctors recommending against Asian restaurant foods, and other examples of people that died after eating from Asian restaurants. There were no “personal jabs”, just the info you asked for and a statement that this was all easily found in a quick google search. I for one appreciate the work that Allergy Eats does to make restaurants aware and more proactive about food allergies and intolerances. This kind of list is a “attaboy” gold star to chains that are trying to do the right thing. They should be applauded and encouraged to continue and get even better. Yet, consumers need to use common sense and know that NO “list” is perfect and certainly this list isn’t saying that all chinese restaurants have trained staff and procedures. However, Blue Ginger in Wellesley is very well known for accommodating food allergies. Personally, we have found that Not Your Average Joes and Burtons Grill are extremely accommodating for a range of food allergies and intolerances. There are a few restaurants on this list that we avoid, but clearly many people have had good experiences. So that is really a good thing. Of course, anytime you add a second or third food allergy, or intolerance, in the mix, the choices narrow. How the kitchen prepares and segregates the food is hugely important, so kitchen set up, procedures and staff training is very important. The biggest challenge we have had is at our daughter’s school. That to me is where allergy and institutional training must improve, regarding nutrition and food safety. I find it a little shocking the argumentative hostility of the posts by AllergyMom, above. We all know restaurant chains, or types of cuisine, that generally are better to avoid, due to dietary and allergy issues. 1000 people may be responding about gluten or dairy (or both) intolerances and be fine with restaurants that another 1000 people find less accommodating, or less able to accommodate, for soy or peanut allergy (or both). Another 1000 may react to MSG and another allergen. The only way to narrow down your specific personal needs, to match with restaurants, is to use the Allergy Eats site and use the allergy checklist when searching for restaurants. That is why everyone needs to fairly review and contribute to the site. I also write on Open Table, when we eat out, especially for restaurants not part of a chain. What most of us can agree on, is that Allergy Eats has raised awareness in a very positive way! If you are allergic to peanuts, there are 2 Asian cuisines that should be “safer”, not fool proof by any means, but safer. Japanese tend not to use peanuts, or tree nuts in any form, and Vietnamese use much less peanuts, tree nuts than do Thai and Chinese. They are soy heavy, however some Vietnamese foods are prepared with fish sauce rather than soy, but still if soy is your allergen, I’d steer clear of all Asian restaurants. Gluten free dining is easier in Thai than the others as most of their noodles are rice based. Sauces tend to be corn starch based rather than flour. Some thick chewy noodles do contain flour, so be sure to question them closely as to the contents of the noodles. Pad Thai and the like are all rice based. Egg allergies can be tricky in Thai as they tend to add eggs to many of their stir fries, request that it be made without the egg, but look closely at the dish before trying. Japanese tend to use eggs as a component in items, ie to stick the panko to katsu. I’m gluten, egg, dairy, shellfish allergic, so for me Asian is the easiest “safest” cuisine for dining out. This is SUCH an awesome resource, thanks for sharing! Some of my favorite eaterys are on here, so YAY! You should have Burton’s on this list! In our experience they are #1 in the country! Elle, we do! They are in fact #1 in the Small Chain category. Hi! Just a note about Red Robin — there is soy in their seasoning, but it is possible to get food without it. When we go with my daughter (peanut, tree nut, soy allergies) they make her french fries in their allergy fryer (as I understand it, they don’t fry anything but fries in it) and don’t put the seasoning on it. And we’ve always had servers there who go out of their way to doublecheck things for us. Once one of our servers said that her son had allergies too. I have been to several Outback Steakhouses in Ohio, and they always articulate finely to catering allergies and each time I recieve my meal you can clearly see the allergens in it. (Tomatoes. Mostly tomato seeds in salads or burgers with ketchup on the sides, and one time I had to go to the ER b/c of cross contamination.) Obviously I have eaten here and been catered, which explains my loyalty to come back and have these experiences. The only time I actually ate the food was when I went to the ER b/c of cross-contamination. The other times you could clearly see the mindless contamination so I didn’t eat anything. I also want to add that Outback does NOT print allergen guest notices in their electronic systems to place orders. In fact, I am not sure that in Ohio they use electronic systems- they use paper notes and tape them in the kitchen. For me, the scariest thing about trying to be normal and social to go out to eat with friends or family are the incidents like this when companies CLEARLY do not comprehend how to cater guests but say that they can. I would NOT recommend. -I ALWAYS make sure that if I visit a new chain that the servers know to use new tongs, and get salad fixings new from the freezer (because they actually use the same tongs from bowl to bowl thus cross-contamination). -Actually, the manger, host, waiter, and chef all talked to me about my allergies (per themselves) because it was my first time visiting and assured me that my meal would be accommodated properly. I chose to dine in because it is a sister restaurant of Brio, and I have always had good experiences there. -Martini’s on Main in Mansfield, Ohio. Stone-oven pizza with a tomato allergy! WAT! Places I have been to the ER when places have said they cater allergies but have cross-contaminated or clearly added allergens in, which I DO NOT RECOMMEND: The Outback Steakhouse, The Blue Danube (Columbus), Panera Bread. It seems to me that awareness of allergies today is similar to the awareness of vegetarian diets thirty years ago. For the latter, things have come a long way, though still short of ideal. Awareness will continue to grow as we go to restaurants and make our needs known. The thing that helped me to identify my soy allergy is the food labeling requirements that the FDA instituted several years ago regarding eight major allergens. Without that, shopping at supermarkets would be as problematic as going to restaurants. I don’t think that any restaurant has an obligation to provide any food that is free of the eight FDA-identified major allergens, to say nothing of less common allergens. But I do think that all restaurants have an obligation to provide complete and accurate information when asked, and to have knowledgeable, properly trained, and caring staff so that they can actually deliver what they promise. I’m a big fan of rewarding people for what they get right. I have rated several restaurants on AllergyEats. When I give an unfavorable rating, it’s not because the restaurant has a limited selection of food that I can eat safely. It’s because the staff doesn’t seem to care or doesn’t appear to be competent in appropriate food preparation. Of course, this is subjective, but it’s the best I can do. I cannot eat at Outback now, because of the MSG. Red Robin will make my soggy fries to order ****without**** the seasoning. Awesome ! By the way, check out Mimi’s Cafe. Mimi’s used to put MSG in their food, but now they don’t. They make Poulange L’orange au crepes which is the real thing for Orange Chicken Crepes! I asked them to leave out the spinach, and include Mozzarella cheese. The orange sauce had a slight tingly aftertaste, the kind you get with citrus & wine mixed together. YUUUUUM! P.F. Changs should not be on this list. They have a ton of menu items with peanuts and tree nuts. Cross contamination is a huge issue in this restaurant. Magianno’s is a great place BUT tree nut/peanut allergies need to be mentioned, bc their rolls on the table are baked in a factory that also produces nuts. That same bread is used for bruschetta and spinach/artichoke dip. So be careful of the bread. That’s the only thing not noted as having nuts, but it’s used in multiple menu items. I’m surprised Longhorn is on this…don’t they still have peanuts and peanut shells everywhere? Surprised PF Changs would be on the good list. I would just stay away from that restaurant with a child with nut allergies–common sense. We LOVE, LOVE, LOVE Chipotle! Add in the fact that their work environment only allows kind, pleasant staff and it is a winner. Great for GF also. I have to say I hate it when a NICE restuarant is so uncomfortable with the task of offering a meal “nut-free” that they basically tell you to get noodles and sauce. The worst is when I had a mgr. start bringing out the butter and milk for me to check! Seriously??? We left. Some places the mgmt. and chef are at such a loss it is a waste of time. We stick with what we know and rarely eat out. These days more restuarants should really be more comfortable with their offerings. I was very happy to see Dairy Queen not anywhere on the “positive” list, since I cannot enter their restaurants without fear of having a peanut reaction. There is so much cross contamination across their equipment, preparation surfaces, etc. that there is no way for me to safely eat from their restaurants. Perhaps some are better than others, but my local restaurant is an absolute no-no for me. I am a new reader! Love that a site like this exists. My daughter is allergic to peanuts only. I totally disagree with PF Chang’s. We avoid all Asian cuisine except Japanese for my daughter but I was eating a dish at a PF Chang’s that was not supposed to have peanuts but it did, I bit into it. So, obviously it rolled off of something and got into my dish. That is scary and I wouldn’t consider them to be allergy-friendly at all! The cross-contamination risk is way too high in certain Asian cuisines. Love the spirit of sharing information that is evident in this site. I am 52 with a peanut allergy. The very first place I ate that actually took it seriously, came to my table, flagged our order (even tho not everyone at table had peanut allergy), and followed up when delivering my plate was PF CHANGS. I’ve never experienced their level of caution. My 16 yr old daughter was diagnosed with Celiac disease in September. I feel like we almost have to be more careful with her because I can smell peanuts if they are in a dish. GF has become ‘faddish’, which doesn’t diminish the benefits many get from just keeping it out of their diet because they want to and notice they feel better. However, this may have made it tougher for Celiacs to be taken ‘seriously’. Relentless diarehha, flu-like symptoms, migraines and that awful feeling many celiacs endure when they have unwittingly ingested gluten – and let’s not forget about the damage to their villi with each gluten exposure – is on a different level than simply choosing to avoid gluten – as so many have and have the right to! Many commercial kitchens/servers have become cynical and stop caring after they take great care to help a patron avoid gluten with their meal only to have them knowingly order a dessert or beverage full of gluten. True communication on both sides is crucial! If you are in the camp that prefers to limit gluten exposure by forgoeing the bread basket and ordering your entree gluten free because you are leaving room for a delicious dessert (with gluten! ), say so! We have a very selective collection of restaurants that we know understand the level of caution they must take with my daughter’s food and we treasure them !! We have forged a sort of personal relationship with them and when they see us coming, most know right away – they will wave from the kitchen or the mgr will give a wave and we say ‘yes! It’s us! Change your gloves – the whole deal! We love that we can eat here and never get sick! Thanks guys!’ Or similar. We have found that the level of personal engagement you are able to establish with restaurants that are gluten friendly makes every bit of difference in their follow through. Some places we just won’t try because it wouldn’t be fair to hold them to standards they never profess to understand or meet. My 16 year old quickly learned to advocate for herself and isn’t the least bit embarrassed to tell the staff at a Panera to change their gloves and explain why. She uses the words ‘Celiac disease’ when explaining her need for care in ensuring her food isn’t cross-contaminated. She will quickly explain how lllittle gluten it takes to make her very sick, and how what she has is an autoimmune disease – not a ‘preference’. I should have started taking pics with my iPhone or keeping track of the reaction of some order takers and food servers upon hearing what Celiac disease actually is and the affect it has on the body of the sufferer. 2.Clear communication – no fear of being embarrassed to explain to more than one person what you need and why. Ask questions – do they understand that no one can touch a cruton or bread or pasta and also touch your food? Or use the same pizza wheel to slice your pizza that they have been using all day to slice regular pizzas? Could one person be designated to prepare just your food? Lastly, if appropriate, tip well! They will remember you, they will probably talk with their coworkers about the table or customer they had with celiac disease – and may explain what it’s all about. That will in turn educate even more humans. Not to defend or endorse P.F. Chang’s as it is certainly a risky establishment to eat at for many allergic individuals and clearly there are many who have had issues, but I wanted to post what I’ve personally learned as to why they may be considered “allergy-friendly.” They *supposedly* use a totally separate prep area in the kitchen, utilize a dedicated chef to prep the order, use special plates, etc whenever possible. Maybe it is the particular location I’ve eaten at, but I’ve always been very impressed with the level of reassurance and knowledge I’ve received from the manager at each visit.